Chuck Kelley is an innovative and highly accomplished hospitality industry executive with proven profit and loss responsibility, and possesses both domestic and international experience. He is an integral leader with a customer service focus and the skills to bring value to all stakeholders. Chuck retired as the Executive Vice President for Marriott’s Caribbean and Latin America Region in 2010. During his tenure the region grew to 53 operating hotels and a confirmed pipeline of over 25 new hotels. 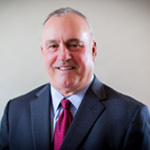 Chuck’s career spanned 32 years in the hospitality industry, and during that time he gained experience in food & beverage, sales, marketing, management and development. He has held regional marketing positions covering California and Asia/Pacific, General Manager and Country Manager in Australia, before moving to south Florida in 1999 to become Executive Vice President of the Caribbean and Latin America. He is currently a Partner at Cayuga Hospitality Consultants providing operations asset management to the lodging/hospitality industry. Among their many specialties, this organization focuses on operations and support services for underperforming and distressed assets. This organization has hands on experience in sales & marketing, management team development, revenue strategy, human resources, and product development in short chains and independent hotels without access to chain resources. Chuck Kelley serves as an active board member of the Baptist Health International Advisory Board. He is also a past chairman of the Caribbean Hotel and Airline Forum for the Caribbean Hotel and Tourism Association. Chuck is a 1977 graduate of the University of Hawaii Travel Industry and Management School with a Bachelor of Science Degree in Business. He has served with distinction in the US Army in Vietnam having earned a Purple Heart and Bronze Star for valor in combat. Chuck is married and enjoys golf, tennis, hiking and reading.